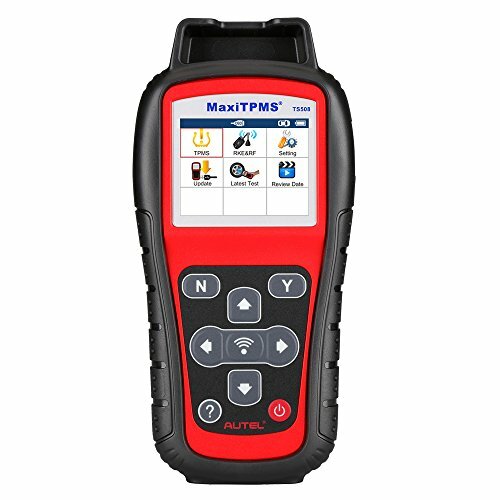 The TS508 is an easy-to-use hand-held TPMS service tool with complete TPMS capabilities including activation of All known sensors, programming mx-sensors to replace OE sensors, displays vehicle-specific relearn procedures and can connect to the vehicle to perform OBD II-relearn for the increasing number of vehicle's requiring this type of relearn. The TS508 features a new streamlined user interface with quick start and advance mode. If you have any questions about this product by MaxiTPMS, contact us by completing and submitting the form below. If you are looking for a specif part number, please include it with your message.